Today JNH Solutions has really beefed up it’s efforts to combat spam email and thought it would be best to share with you how we filter emails. We have implemented Bayesian filtering quite some time ago which at the time was recommended to block 98.5% of spam. However, if the Bayesian filter is not trained (cant figure out a spam email from a not spam email) this percentage is significantly lower. Over the year we have used methods such as grey filtering which blocks emails for a set time. Legitimate email servers will ofter resend the email where the spam email servers usually don’t bother. But we felt this offered a poor user experience for our customers as some legitimate emails were being blocked for too long or being treated as spam. Turning off the grey filter was a necessary evil. 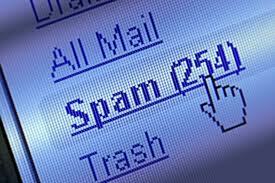 It allowed the spam through, but in turn allowed the Bayesian filter to learn many new types of spam emails which had been previously blocked by the grey list. Today we have also implemented Real Time Blacklists (RBL), which block spam emails from known spammers. We have five RBL monitors in place set to block any emails that are in two or more blacklists. The results have been nothing short of amazing! As most of the spam that have found tricky ways to get around the Bayesian filter (such as using misspelled words) originate from IP addresses that are known spammers. While this will not eliminate 100% of spam, we do believe it is the perfect balance for fighting spam.